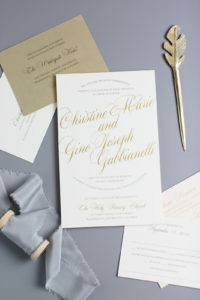 I absolutely adore a neutral color pallet that has just a little unexpected “pop”. 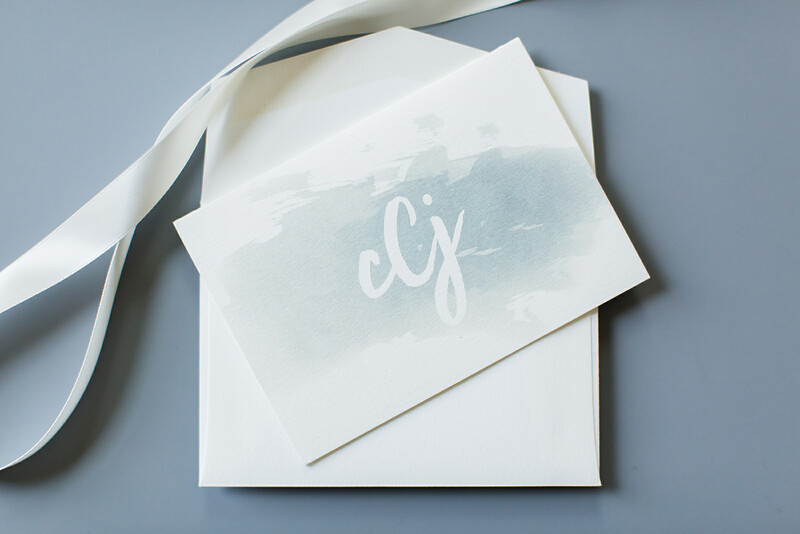 That’s what we created for Cassandra and Jeremy’s beautiful stationery. 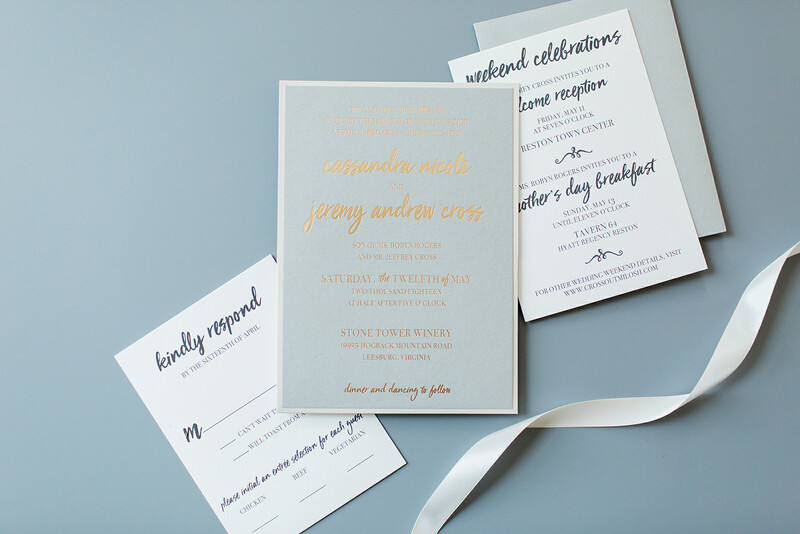 A soft gray paired with a warm beige and off-white was the perfect backdrop for their custom foil stamped wedding invitations. 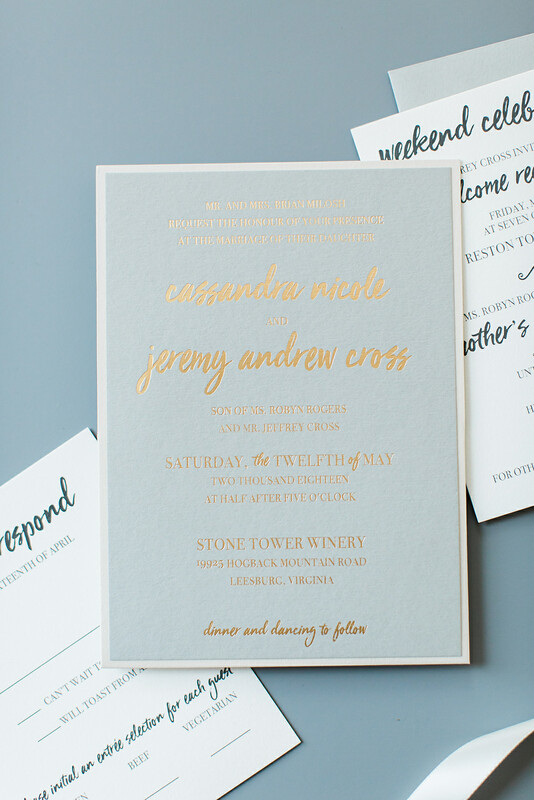 The lowercase script left the invitation feeling warm and casual while still being traditional and hinting toward formal. 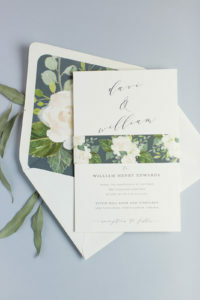 Not pictured, an adorable “back pocket” to house all the inserts neatly and present everything in an organized little package. 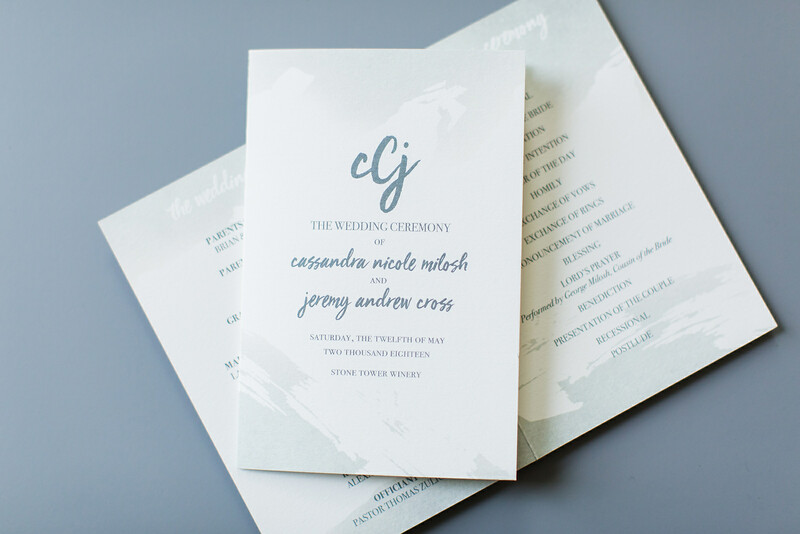 Guests were greeted at the ceremony with these adorable little “mini” programs — the perfect size to fit in a suit jacket pocket! 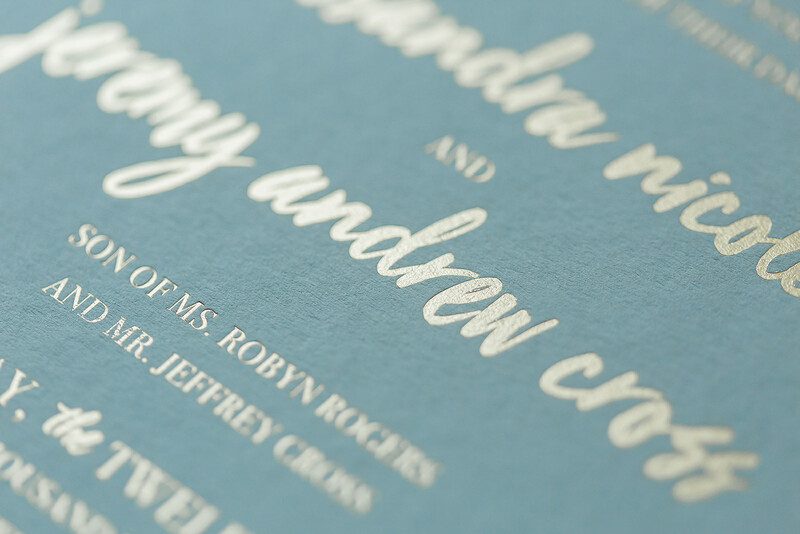 …and finally a pretty little custom informal note so that even their post-wedding thank yous maintained a coordinated aesthetic. 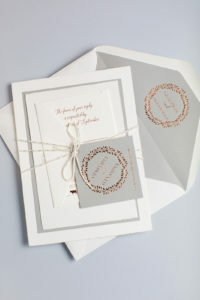 I was originally feeling overwhelmed by selecting invitations since there are just so many options to choose. From the first moment I met Kelly, I instantly felt at ease and knew that she would help guide me in the right direction. She is kind and calm and sat patiently with me (and my mom and sister) at our initial appointment where we went through the MANY books she has to find just the right invitations for us. 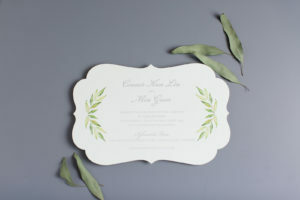 She clearly explained the process to us and provided an exact timeline of when everything needed to be completed by to ensure that we would receive our order on time. 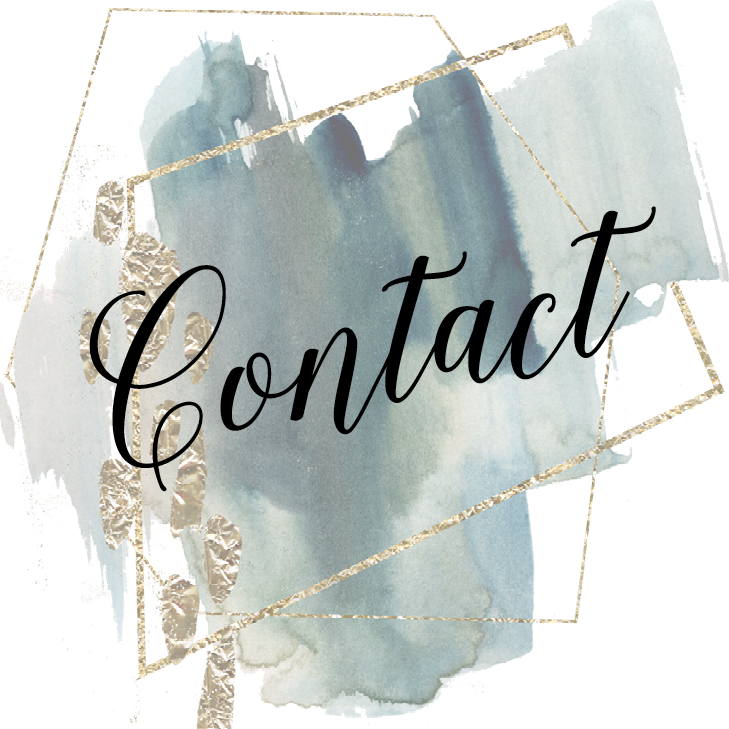 I have a bit of a crazy work schedule, and Kelly was more than accommodating with scheduling appointments so that they worked with my schedule, something I very much appreciated. 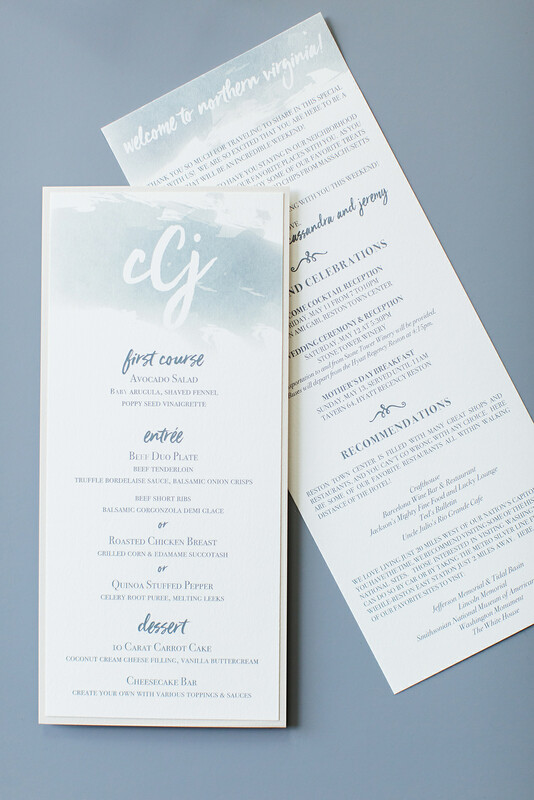 She can truly do anything and even created beautiful custom table number cards that helped tie our whole reception room together. 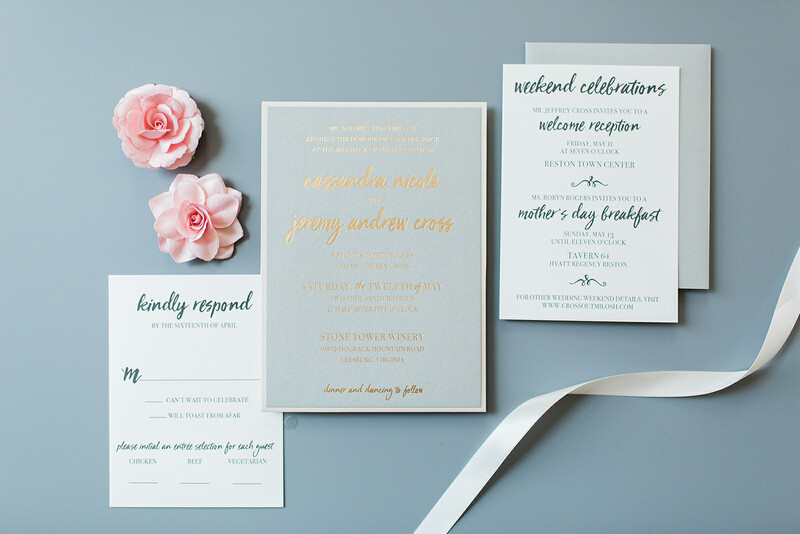 I cannot recommend Kelly enough to anyone looking to purchase stationery! Thank you so much Kelly!